Home Home foreclosure How To Buy Foreclosure? A foreclosure is where a bank takes possession of a property because the property owner has defaulted on their loan. 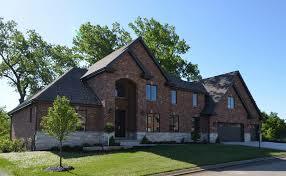 You can find many different kinds of properties being sold as foreclosures. The properties available vary in size, price and location and are generally not easy for non-agents to get information on. One thing you will want to do before considering purchasing a foreclosure is to attempt to find and get in touch with the original property owner. This is because the original property owner will have much more pertinent information on the property than the bank that foreclosed on it. Also, in some cases, the original property owner can act as a liaison directly with the bank, and can help smooth over introductions and get the property sold. You will of course want to compensate the original property owner for his time. One of the best ways to get information on foreclosures is online. There are a number of companies online that provide a listing of the different foreclosure properties available. You can take this information to your real estate agent and they can get further information on the properties and assist you in putting in an offer on them. Many foreclosures are sold at auction. If you are looking to purchase a foreclosure, then one of the first places to go looking is the auction block. A bank will often put a foreclosure up for auction as it is the quickest way to get the property sold. Many foreclosures which go to auction don’t require the intervention of a licensed real estate agent to find (as they can be found in newspapers and online), however you will want to have a licensed agent looking out for your interests when it comes time to sign all the paperwork and take possession of the property. Have a licensed agent do a CMA (comparative market analysis) for the property before putting a bid on it. FHA Rules are Changing in October and It Will Cost You MoreHow to Buy a Short Sale?